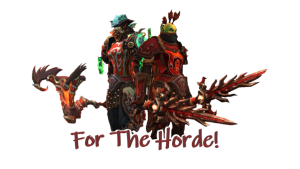 Check out this super awesome graphic that a guild streamer, raider, and PvP lead, has made for his Twitch channel! It features his two mains (Miatreeleafa and Sashaflay). Follow him on Twitch! Have some artwork, cool stories, stream clips, milestones, or just something goofy or awesome that you want to show off? Submit it here to be featured on the website! We like showing off our awesome members!